Rugby in Scotland - sports guide to this Scottish Rugby. The home of Scottish rugby is Murrayfield. Opened in November 1994 with a match against South Africa, the 67,500 all seated stadium is located in Murrayfield, Edinburgh. The stadium is within walking distance from Haymarket train station and Edinburgh Airport run shuttle buses every half hour to the City Centre, and then the stadium is a short taxi ride away or a 15 minute walk. Edinburgh has excellent infrastructure allowing easy travel by car or bus from outside of the City to the Stadium. Aside from The World Cup which happens every four years, the major event for Scottish Rugby is the Six Nations which happens every year in February and March. The six nations is made up of England, Ireland, Wales, Scotland, France, who joined in 1910, and the final team to join the annual event is Italy, who joined in 2000. The ultimate accolade at the Six Nations is for a team to win all of its matches, this is known as the 'Grand Slam'. Scotland has won the grand slam on three occasions: in 1925, 1984 and 1990. The 2009 Six Nations sees Murrayfield hosting three of Scotland's five matches. Traditionally, November is when the Autumn Tests are held. These are a series of three matches against International Teams, usually from the Southern Hemisphere that are in their off season. Although highly competitive, in essence these are friendly matches that Scotland use to prepare for the Six Nations and that the opposition use to keep players fit and give extra matches during their summer season when rugby is not played. Teams from the Southern Hemisphere are among the best in the world and are extremely tough opposition and so to play well against these kinds of teams can often give Scotland a massive boost. 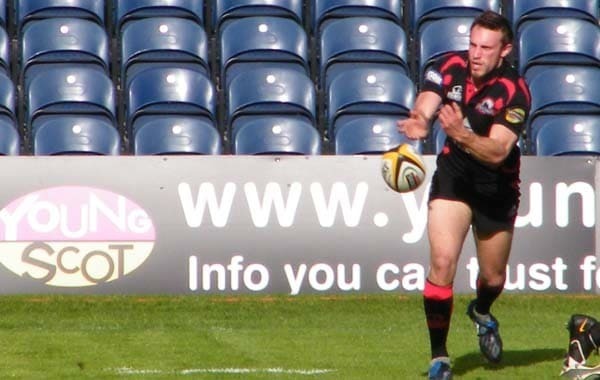 Edinburgh Rugby Club plays their home matches at Murrayfield Stadium. They play in The Magners League, a league made up of ten teams from Scotland, Wales and Ireland. Edinburgh also competes in the Heineken Cup which is a competition with teams from Scotland, England, Ireland, Wales and France. The fixtures for both competitions are on going throughout the season which runs from the beginning of September through to the middle of May. Competition in the Heineken Cup beyond January is dependant on whether teams qualify out of the pools (group stages) to reach the latter rounds. Murrayfield is not only famed for rugby, it also hosts many musical concerts during the summer months, in the past acts such as The Rolling Stones, Tina Turner, David Bowie and Oasis has performed. The local area close to the stadium as well as Edinburgh city centre has a good selection of accommodation that will meet all tastes and budgets. Edinburgh lends itself perfectly for a relaxing break where a selection of outdoor or indoor sports can be enjoyed; the nightlife in the city is second to none which also has a vibrant comedy and arts scene. Edinburgh is located on the east coast of Scotland and therefore has some wonderful seaside self catered holiday cottages. The countryside is a very short drive away with areas such as Gullane, North Berwick and Linlithgow all within easy reach where many holiday homes are available to let. If you want to rent a holiday cottage to see Scottish rugby then there is a great selection to choose from.